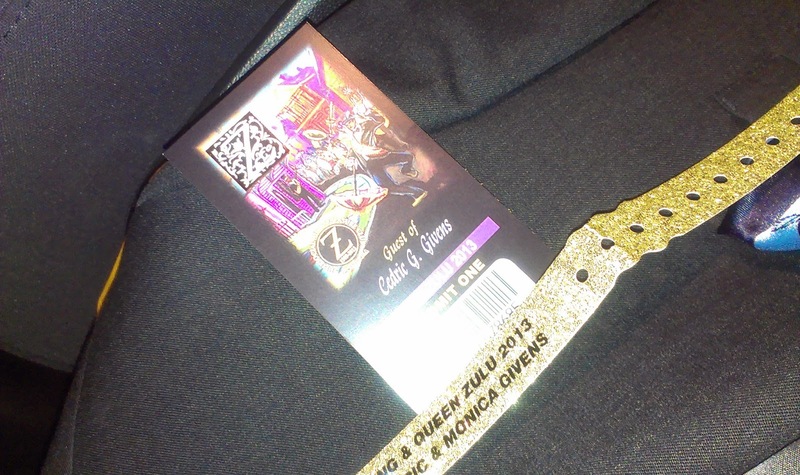 What the heck is Lundi Gras? It's Fat Monday, the day before Mardi Gras. Lundi Gras celebrations are just as important as Mardi Gras celebrations because the fever pitch of celebrations really come to a peak on this day. Most businesses and schools on the Gulf Coast are closed Monday and Tuesday and it's business as usual on Wednesday, so Monday is the perfect day to really let it all hang out. 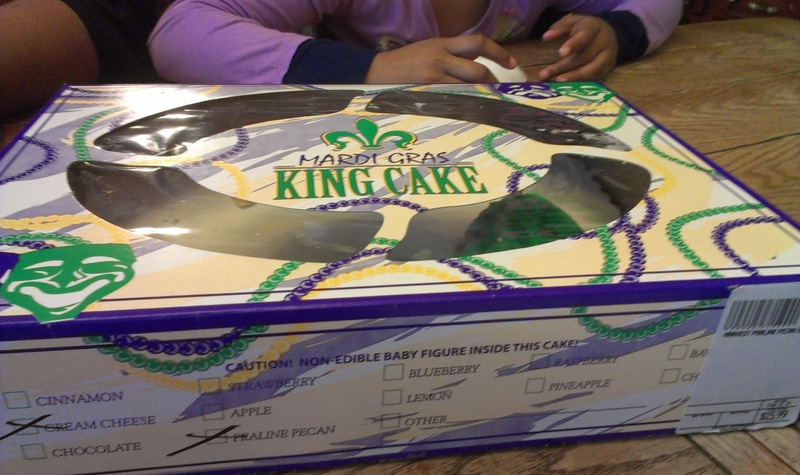 I'm going to let it all hang out with a King Cake. 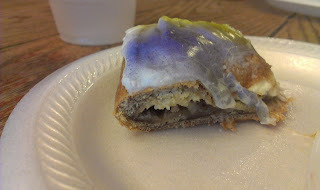 The king cake is mostly associated with Mardi Gras traditions and is served throughout the Carnival season, which lasts from Epiphany Eve (January 5) to Fat Tuesday. 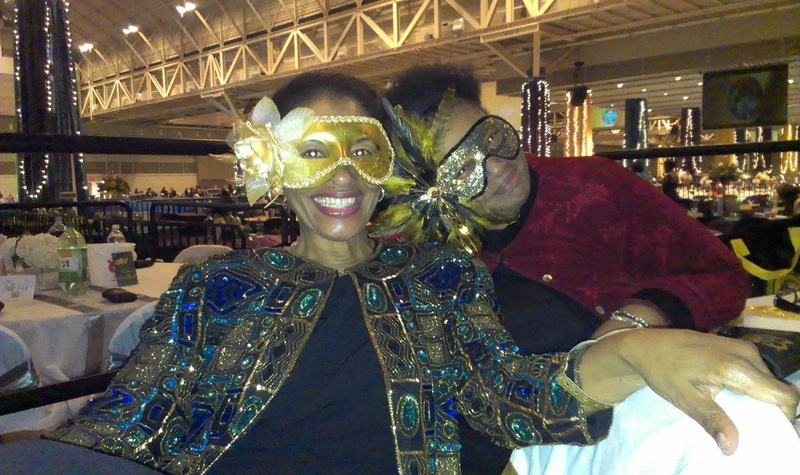 The royal colors of Mardi Gras (purple [justice], green [faith], and gold [power])--honor The Three Kings who visited 8 lb, 6 oz Baby Jesus on the 12th day after Christmas. The most simple and traditional cake is a ring of twisted cinnamon roll-style bread topped with icing or sugar. Some cakes are more decadent and filled with cream cheese, praline(pronounced "praw-line"), cinnamon, or strawberry. A "Zulu King Cake" has chocolate icing with a coconut filling, because the Krewe of Zulu parade's most celebrated parade throw is a coconut. A small trinket (often a small plastic baby or a bean represents Baby Jesus) is placed inside and the person who gets the piece of cake with the trinket has various privileges and obligations. The person who gets the trinket is declared the King or Queen of the day. 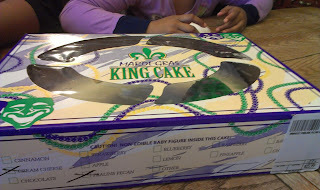 The king or queen is usually obligated to supply the next king cake or host the next party. Cook first 4 ingredients in a medium saucepan over low heat, stirring often, until butter melts. Set aside, and cool mixture to 100° to 110°. Stir together yeast, 1/2 cup warm water, and 1 tablespoon sugar in a 1-cup glass measuring cup; let stand 5 minutes. Beat sour cream mixture, yeast mixture, eggs, and 2 cups flour at medium speed with a heavy-duty electric stand mixer until smooth. Reduce speed to low, and gradually add enough remaining flour (4 to 4 1/2 cups) until a soft dough forms. Turn dough out onto a lightly floured surface; knead until smooth and elastic (about 10 minutes). Place in a well-greased bowl, turning to grease top. Cover and let rise in a warm place (85°), free from drafts, 1 hour or until dough is doubled in bulk. Punch down dough, and divide in half. Roll each portion into a 22- x 12-inch rectangle. Spread 1/3 cup softened butter evenly on each rectangle, leaving a 1-inch border. Stir together 1/2 cup sugar and cinnamon, and sprinkle evenly over butter on each rectangle. Roll up each dough rectangle, jelly-roll fashion, starting at 1 long side. Place one dough roll, seam side down, on a lightly greased baking sheet. Bring ends of roll together to form an oval ring, moistening and pinching edges together to seal. Repeat with second dough roll. Cover and let rise in a warm place (85°), free from drafts, 20 to 30 minutes or until doubled in bulk. Bake at 375° for 14 to 16 minutes or until golden. Slightly cool cakes on pans on wire racks (about 10 minutes). Drizzle Creamy Glaze evenly over warm cakes; sprinkle with colored sugars, alternating colors and forming bands. Let cool completely. 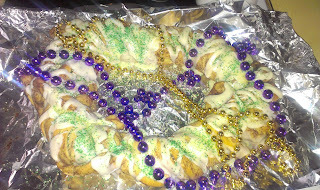 Cream Cheese-Filled King Cake: Prepare each 22- x 12-inch dough rectangle as directed. 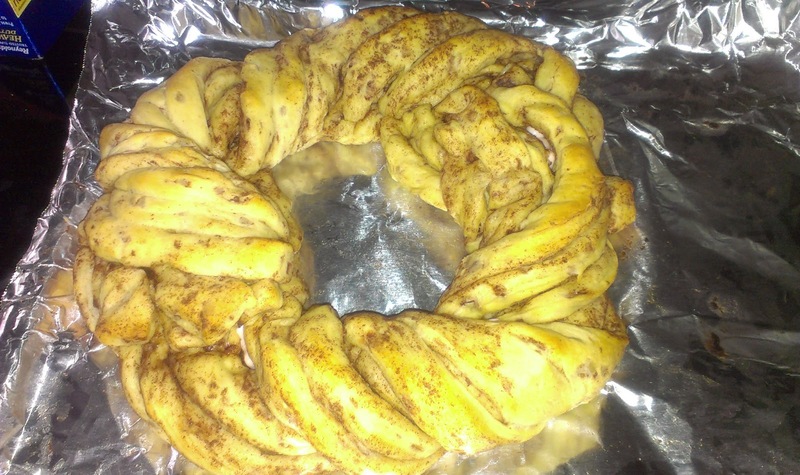 Omit 1/3 cup softened butter and 1 1/2 teaspoons ground cinnamon. Increase 1/2 cup sugar to 3/4 cup sugar. Beat 3/4 cup sugar; 2 (8-ounce) packages cream cheese, softened; 1 large egg; and 2 teaspoons vanilla extract at medium speed with an electric mixer until smooth. Spread cream cheese mixture evenly on each dough rectangle, leaving 1-inch borders. Proceed with recipe as directed.